TNPSC Group I Main Exam Hall Ticket 2013 – Tamilnadu Public Service Commission TNPS/c Group I Main Exam will be conducted on 25.10.2013, 26.10.2013 & 27.10.2013. 1,381 candidates are appearing for TNPSC Group I Main examination. Previously TNPSC Group I exam was conducted for the filing up the following vacancies in the public sector. Total number of vacancies to be filled under Group 1 : 25 posts. Deputy Collector : 8 posts. Deputy Superintendent Police : 4 posts. Assistant Commissioner : 7 posts. District Employment Officer : 5 posts. District Registrar : 1 post. 75,704 candidates appeared for Group I examination and result for this examination had been declared earlier. 1,381 candidates passed in this examination. All these candidates are appearing for TNPSC Group I Main Examination. This examination is scheduled to be conducted in the month of September. Later it was postponed. Now the examination is scheduled to be conducted in the following dates. TNPSC Group I Main Exam will be conducted in the Morning on 25, 26 & 27 th October 2013 from morning 10 a.m. to 1 p.m. Group I examination will be conducted only in Chennai at 14 Centres. Examination Centres, Exam timings, Exam Papers details will be available in the Admit Card / TNPSC Group I Main Exam Hall Ticket 2013. TNPSC Group I Main Exam Hall Ticket / Admit Card 2013 has been released in the official website. 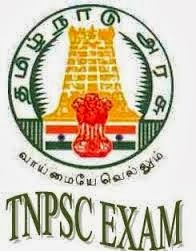 The candidates those who are appearing for TNPSC Group I Examination can download TNPSC Group I Hall Ticket / Admit Card 2013 http://tnpscexams.net / or www.tnpsc.gov.in.